Temple of Apollo in Delphi. Stomp grapes with your bare feet during the trygos, or annual wine harvesting. You’ll join Greek families as they pick the vines and celebrate the season with traditional music, food and, of course, last year’s vintages. You can take part in the olive harvest and pressing, as well. 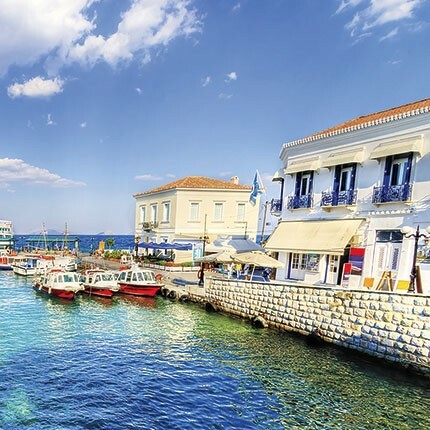 Choose from a selection of yachts and spend a day cruising the Argo-Saronic Islands, a stone’s throw from bustling Athens, yet seemingly worlds away. Explore the neoclassical mansions and galleries on artist-favored Hydra. Then grab a motorbike and head out in search of the perfect stretch of sand on upscale Spetses. Hike through Samaria Gorge, Europe’s longest and most impressive limestone gorge. Located on Crete, within the UNESCO-designated White Mountains National Park, the 10-mile-long Samaria offers dramatic scenery. Catch your breath as you trek through the Portes (Gates), only 13 feet across yet nearly 1,000 feet high. 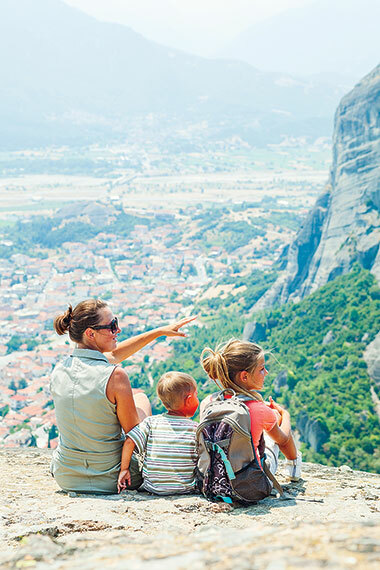 Hop aboard a helicopter and reach new heights as you visit the monasteries of Meteora. Greek for “suspended in the air,” these awe-inspiring structures sit atop nearly inaccessible rock pinnacles; four still house monastic communities. 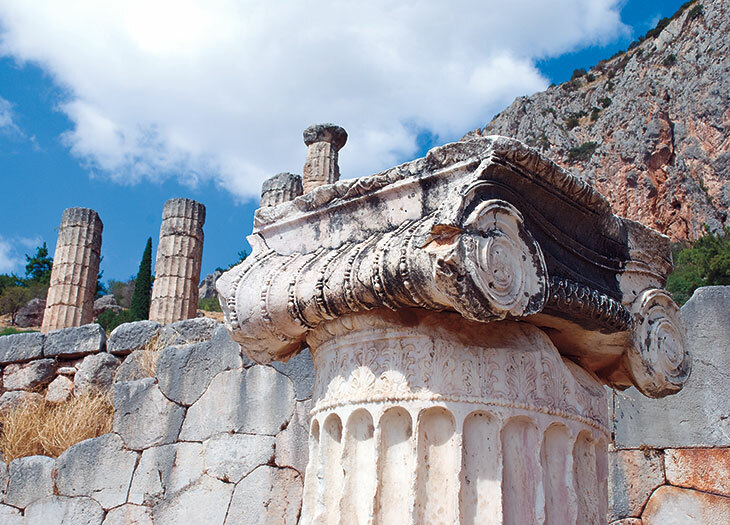 You’ll also visit the archeological site of Delphi with its Temple of Apollo, Theater and Treasury of Athenians. A bird’s eye view of Meteora.